Drangsong and retinue. At the top is Shakyamuni Buddha and Padmasambhava. 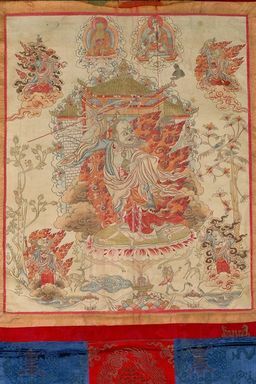 The concept of Drangsong in Tibetan Buddhism originates with the Revealed Treasure Tradition of the Nyingma School.